Are you looking for some easy dinner recipes?? I’m not sure if you are going to believe me or not but can you believe that I am ummmmm 43 years old and have never in my life made fried chicken!!! Say what???? Yes! You heard me correctly so needless to say I was a little nervous when I started out making this southern style fried chicken but guess what??? It turned out wonderfully and the kids loved it and so did the hubbie! It all started out with a great sale on chicken legs and a hunkering for fried chicken!! So I grabbed my cast iron skillet and the phone and called my momma for some advice and embarked on my mission to make some fabulous southern style fried chicken. Now you know that I had to get some in the process shots of my fabulous southern style fried chicken!! 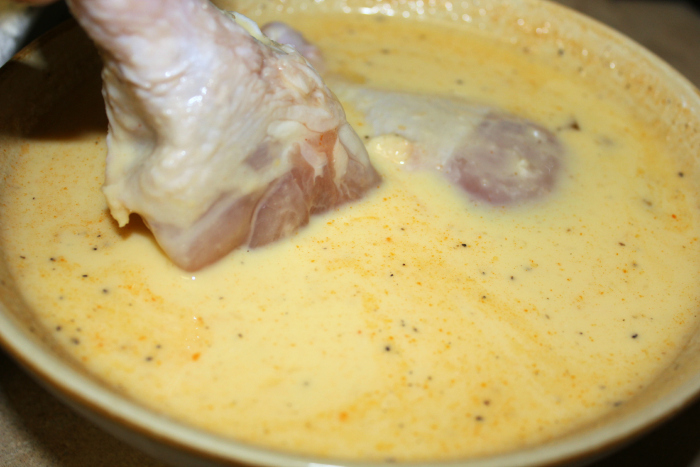 So here is a photo of dipping the chicken into the egg mixture. As you will see the picture is not quite as “orange” as it should be because I toned down the hot sauce just in case it bothered my 3 year old (it did not and I have tried the whole 1/2 cup of Buffalo Wing Sauce since and she does fine with it). and then it’s time to roll it into the flour mixture….. In a medium size bowl mix the eggs, milk and Sweet Baby Ray’s Buffalo Wing Sauce and whisk well. In a 9×13 cake pan mix together 2 cups flour, white pepper, salt and garlic powder. Place oil in pan just a little under half way up. Heat the oil to 350 degrees. 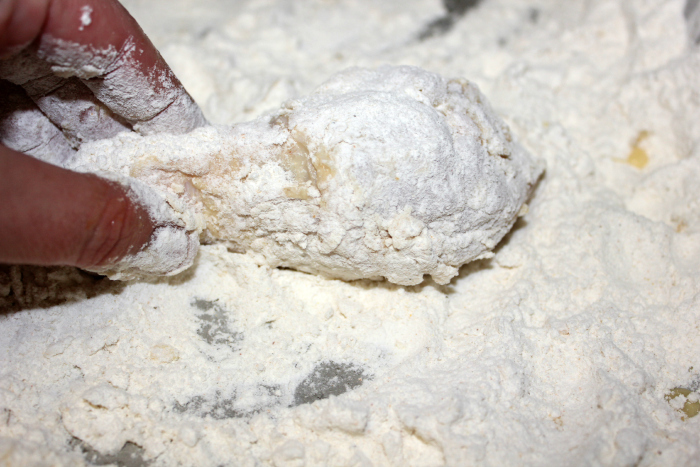 Dry your chicken pieces withe a paper towel and dip into egg mixture then immediately roll in flour mixture and place in hot skillet to cook. When chicken starts to brown well on one side turn it over for even cooking. The chicken will take approximately 12-14 minutes for dark meat and 8-11 for white meat. Make sure that when a thermometer is inserted into the meat it reaches 165 degrees F.
Serve with mashed potatoes, gravy and veggie of choice. 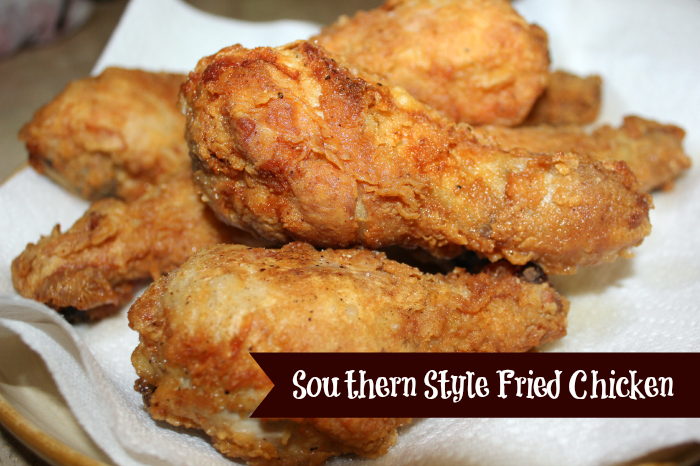 What is your favorite way to make fried chicken? ?